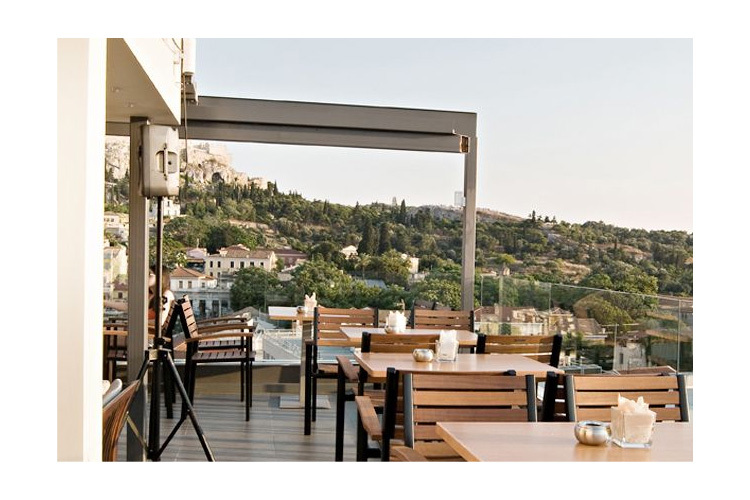 2-4, Miaouli Str., Monastiraki , 10554, Athens, Central Athens, Attica, GREECE. 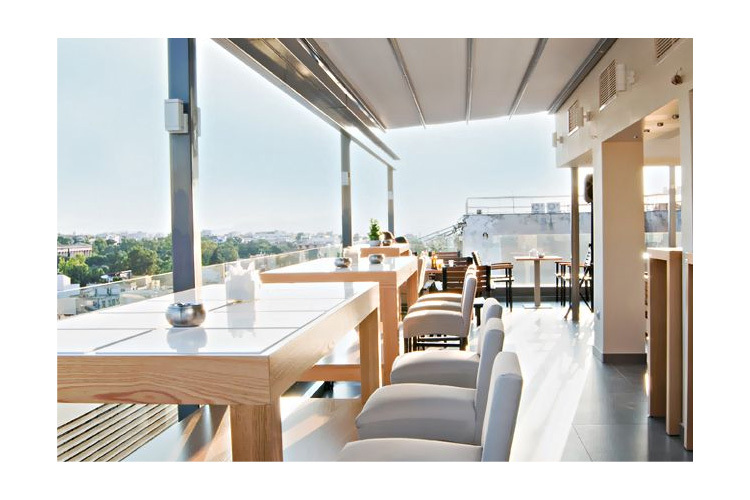 Enjoying a spectacular location overlooking Monastiraki Square, A for Athens is a newly built boutique establishment offering comfortable accommodation in 35 rooms and apartments. 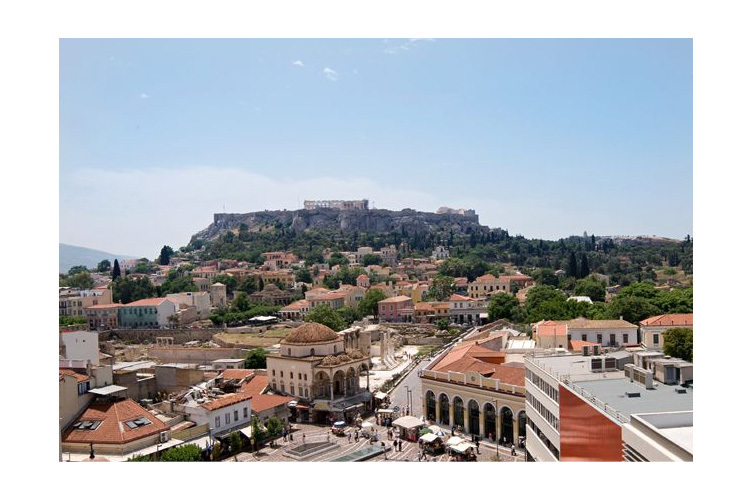 Set in the heart of the fashionable, bustling Psiri district, A for Athens is perfect for visiting this historic city, as the Acropolis is within walking distance, as are many other of the city's most important attractions, including the Agora, Plaka and Monastiraki. 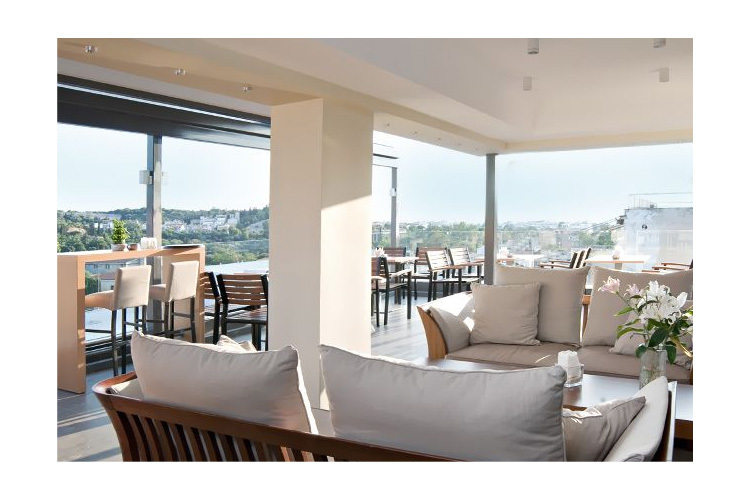 Monastiraki metro station is just a few steps away, with links to the airport and Piraeus Port. 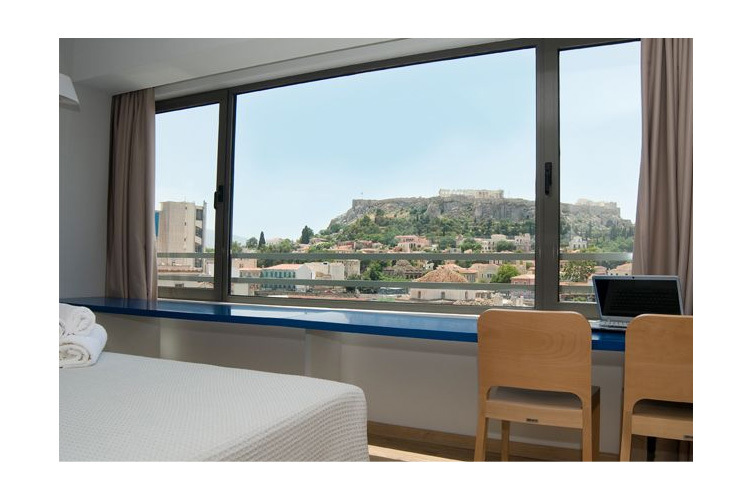 Many of A for Athens's rooms offer guests spectacular open views of the Acropolis, while overs have outlooks to the square and Psiri. 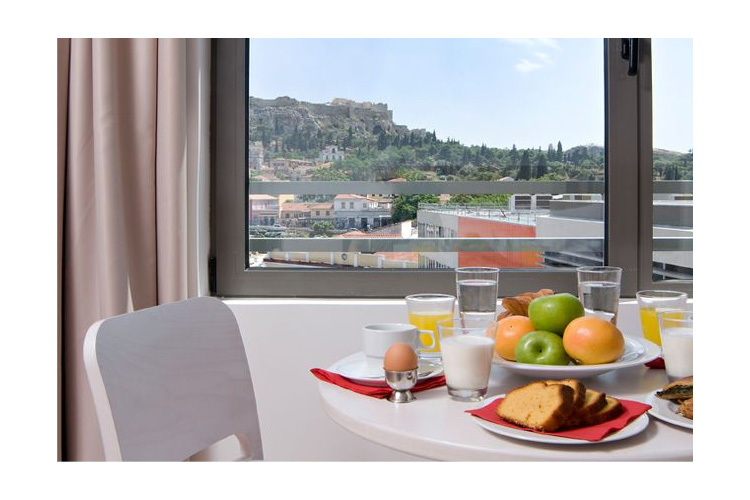 A for Athens Rooms and Apartments has a spectacular rooftop terrace, where breakfast, snacks and drinks are served. 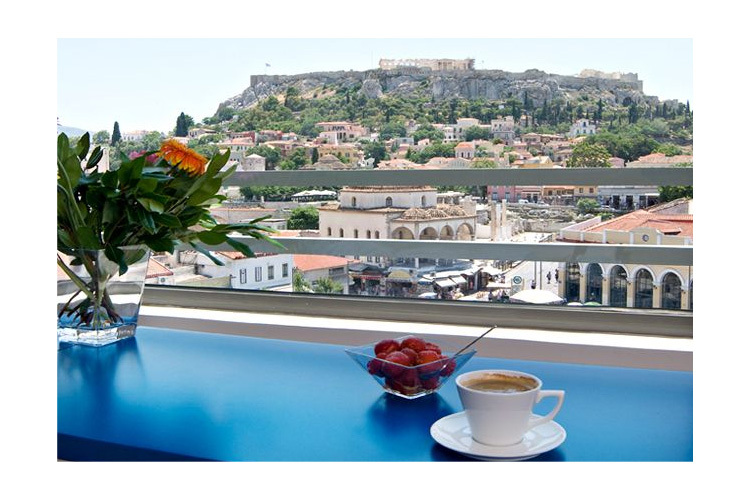 The terrace offers guests magnificent views of the Acropolis, Psiri, Plaka and Monastiraki. 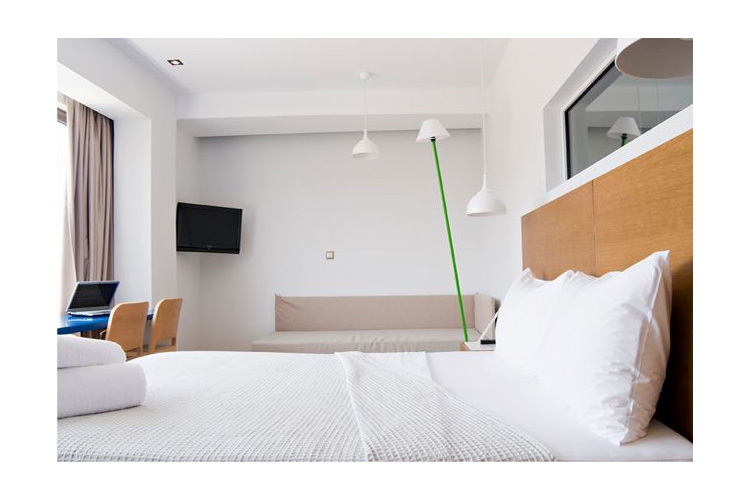 A for Athens has 35 rooms and apartments, elegantly but comfortably furnished in a contemporary Greek style, cool and airy. 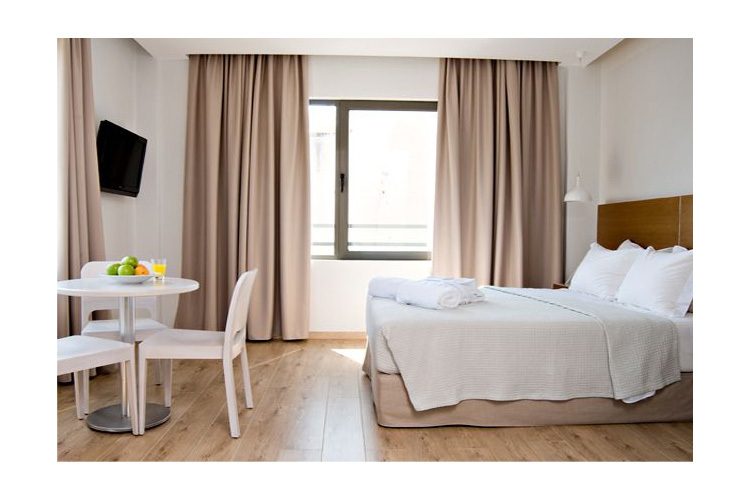 Rooms are air-conditioned, and come with everything necessary for a comfortable stay, including flat-screen TVs, safes and mini-bars. 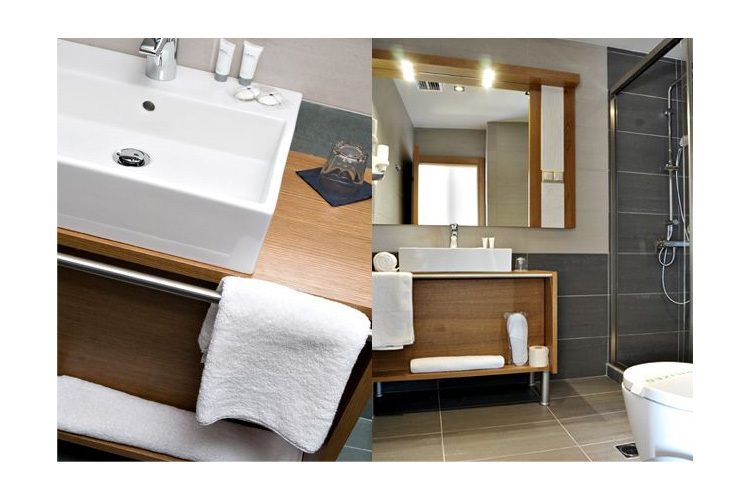 All rooms have en-suite bathrooms with complimentary toiletries and bathrobes. 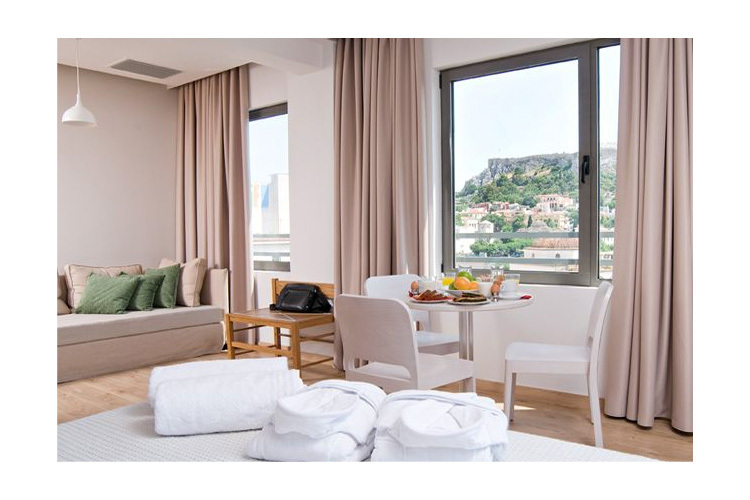 Wide view rooms will impress guests with their stunning, uncorrupted view to the Acropolis, whether they are staying on the first or the fifth floor. In simple lines and light colours, rooms are designed to enhance guests' viewing experience and each one features furniture created by some of the city's most acclaimed designers. Facilities: 25 sq m, Wide view to Acropolis, Soft and calm design that enhances guests' viewing experience, Safe, Air Conditioning, Sofa, Work Desk, Heating, Hardwood/Parquet floors, Hair dryer, Bathroom Amenities, Toilet, Bathroom, Slippers,Shower, Satellite TV, LCD/Plasma/Flat-screen TV, Mini-bar, Wake Up Service/Alarm Clock, Direct dial phone, Double glazing windows, Electronic door locks, Electronic smoke detector, Iron and Board (On request), Design objects by contemporary Greek designers. Suitable for 1, 2 or 3 adults. 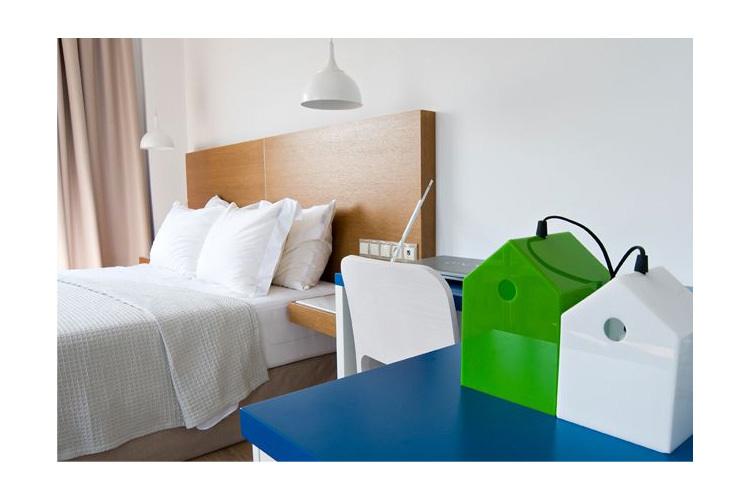 Homy rooms are designed to make guests feel at home, in simple lines and warm colours. 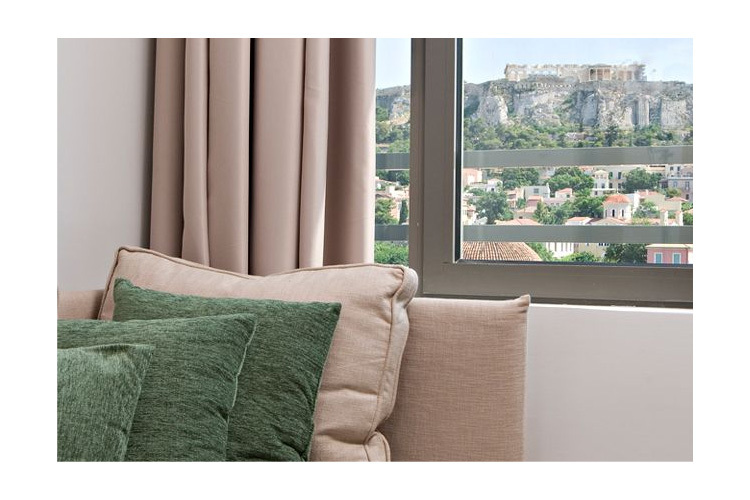 In each room a unique set of photographs of the city will give guests ideas about places to go and things to do in Athens. Facilities: 25 sq m, Street view to Psirri, Homy design with photos of Athens centre and travel tips, Safe, Air Conditioning, Sofa, Work Desk, Heating, Hardwood/ Parquet floors, Hair dryer, Bathroom Amenities, Toilet, Bathroom, Slippers,Shower, Satellite TV, LCD/Plasma/Flat-screen TV, Mini-bar, Wake Up Service/Alarm Clock, Direct dial phone, Double glazing windows, Electronic door locks, Electronic smoke detector, Iron and Board (On request). Suitable for 1 to 4 adults. Nearest airport: Athens International Airport - 34,1 km.